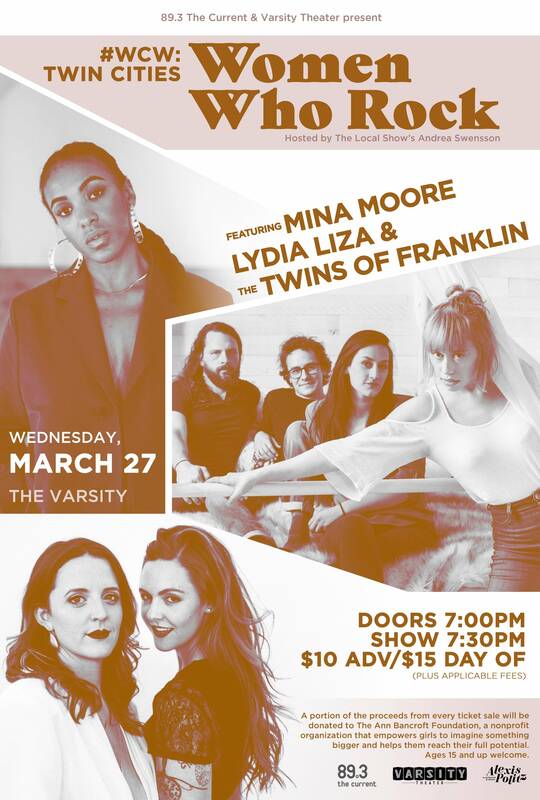 Join us for an evening of celebrating a few of the many Twin Cities “women who rock” featuring Mina Moore, Lydia Liza, and The Twins of Franklin! In honor of Women's History Month, 89.3 The Current & Varsity Theater have put together a lineup of all female-fronted bands, and a portion of the proceeds from ticket sale will be donated to The Ann Bancroft Foundation, a nonprofit organization that empowers girls to imagine something bigger and helps them reach their full potential. Hosted by The Local Show’s Andrea Swensson.